Are you too fed up with the high rates of vegetables which are not even pure organic? 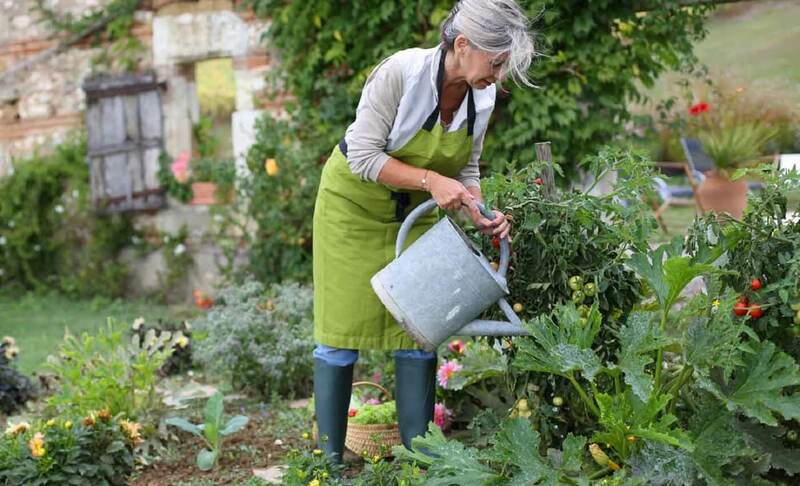 Do you wish to grow the vegetables on your own in your kitchen garden? And are you confused which all vegetables are grown without any hassle? Well, we have got you covered. The home grown veggies are always filled with varieties, tastes and textures which far exceeds the grocery store produce. Here are some of the veggies that you can grown in your garden and savour in their delicious taste within no time. For some crunchy fresh leaves for your salad, plant the seeds in a pot and soon you can be able to pluck the leaves while the plant keeps growing. Potatoes go with every dish; they even stand out for their delicious taste. And the best part is that potatoes are the easiest to grow at home. Imagine eating the fresh and sundried tomatoes from your backyard. Tomatoes are easy and fast growing vegetables. These maintenance-free crops are very easy to grow, all you need to do is plant an onion bulb or a garlic clove and half your work is done. Fresh picked peas only ask you to sow them and then give their stems a support to creep onto and thus your sweet peas would be ready. Spring onions are best known to bring a taste and tanginess to your salad bowl. They are easily grown in the gardens. This healthy vegetable should be on every one’s plate. The super-food, beetroot, can be sown directly in the moist soil. Who does not love sweet and crunchy carrots? They can be grown in deeper pots or directly in the soil.